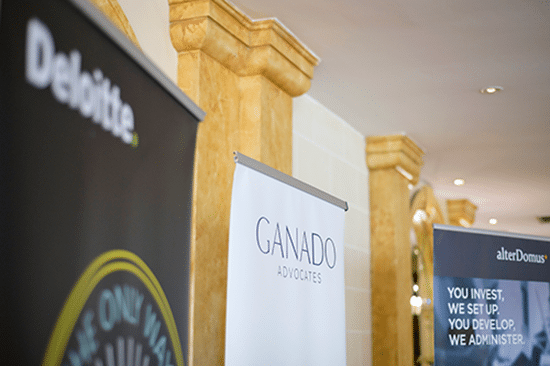 GANADO Advocates, together with Deloitte and Alter Domus, organised the 4th edition of Malta Asset Management Forum, which took place at the Hilton Malta on 27 November. The annual event gathered local asset management professionals and addressed recent happenings within the financial services sector. Dr Mark Caruana Scicluna, Associate within the Investment Services and Funds practice, participated in a panel discussion on private equity think tanks. Dr Mario Zerafa, Associate within the same team, delivered a presentation on the recent changes brought about by the 4th AML Directive and highlighted the implications of the 5th and 6th AML Directive on asset managers. Dr Zerafa also participated in an AML panel discussion. Mr James Farrugia, Partner within the Investment Services and Funds practice, chaired a panel discussion on internal control environments and closed the event.